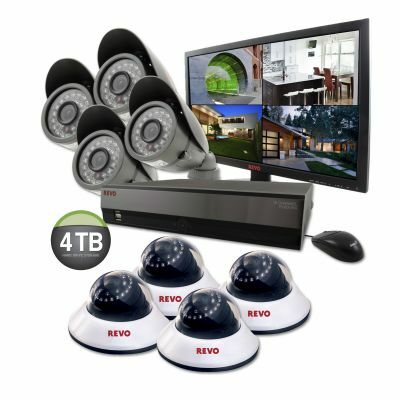 REVO 4 CH wireless system is great for home or small business. Complete with 1 TB HDD, the system boasts REVO’s EZLINK technology for easy networking through your router. 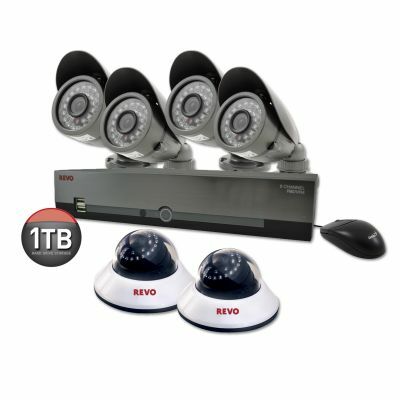 This powerful system can also be set to email alerts when any or all of the cameras detect motion. Don’t check your email? The system can also be set to send Push Notifications to most smart phones! The DVR supports easy back up via USB port (easily extruding video clips to a thumb drive) or external hard disk drive. User can remotely view live images or search the recorded data via the internet or a mobile phone. The DVR Records up to 120 NTSC Images per Second, 4-Channel Audio Recording and 1-Channel Audio Playback. 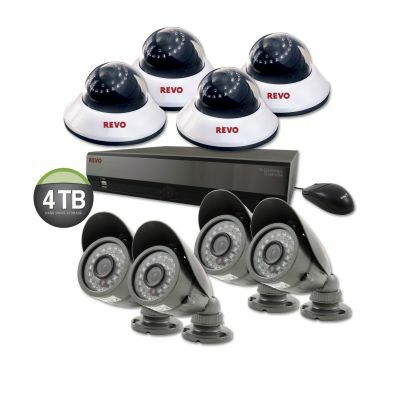 This particular system comes packed with 4 wireless cameras. 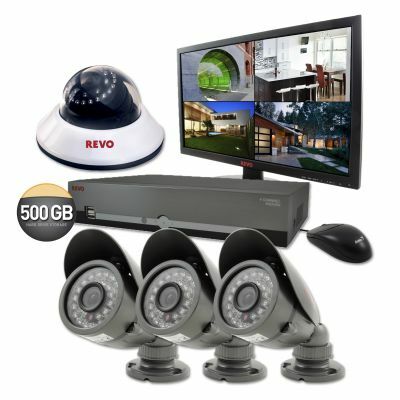 Broadcasting 600TVL of clear, high resolution video, this is the solution for adding a camera to monitor an area where running standard cable is just not an option. Also great for monitoring children's area's/rooms where a permanent mount will not be necessary. 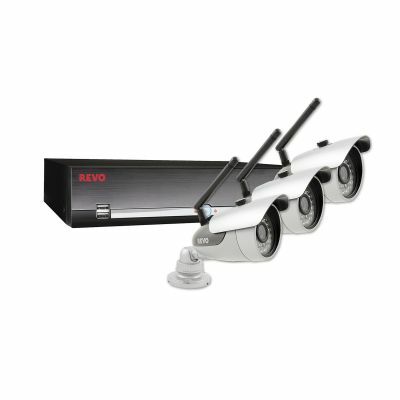 For outdoor or indoor use, a 12v power adaptor to power camera is included and the receiver portion is ready to be plugged into one of REVO's Quick Connect Ports and be powered directly from the DVR. Install is as easy as 1-2-3. With a 3.6mm lens, the camera can transmit up to 450FT in optimal conditions. 30 IR's allow the camera to see up to 80FT in total darkness and is also audio capable. 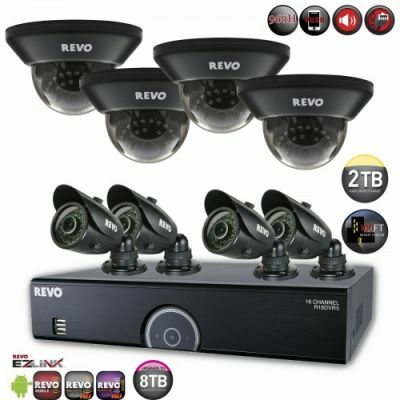 Transmitting real time (25fps) wireless video, the camera and audio can be monitored remotely using the free smartphone app REVO Mobile (system must be connected to internet). Convenient signal strength indicator and out of warning allows you to easily set up for the best signal. This System comes complete with a 21.5’’ LED high resolution monitor. Up to 165ft (50m) indoor / 450ft (137m) open space wireless range. Advanced. Intelligent. Video Surveillance. REVO!